Property 5: Wonderful sunny apartment in the enormous ski area of Schladming. Property 6: Apartment in authentic Austrian building, surrounded by natural beauty. Property 29: Well kept bungalow, next to a child friendly farm. Property 31: Wonderful sunny apartment in the enormous ski area of Schladming. Property 33: Accommodation with sauna, in picturesque village at a height of 1000 m.
Property 35: Wonderful sunny apartment in the enormous ski area of Schladming. Studio for 2-4 persons near ski lift in Wagrain with extra bedroom. 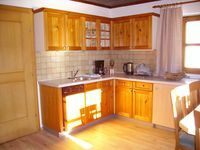 Property 45: Studio for 2-4 persons near ski lift in Wagrain with extra bedroom. Property 48: Spaciously arranged apartment in summer ski region.